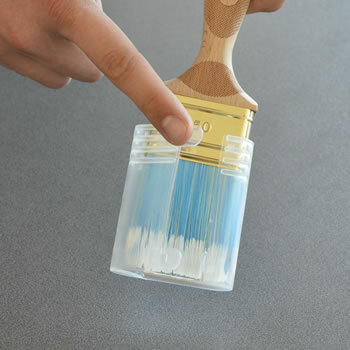 Research tells us that a painter takes about 2 breaks per day and that the average paint job takes two days. 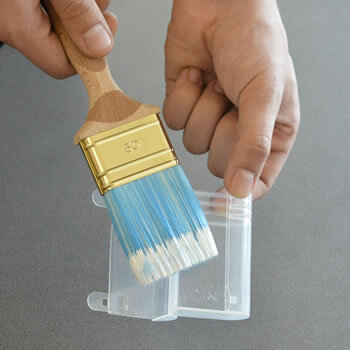 Some painters wrap the brush in a plastic foil… Others wash out the brush before the break and when getting back to work they find themselves painting with water-soaked paint or even with a different color. 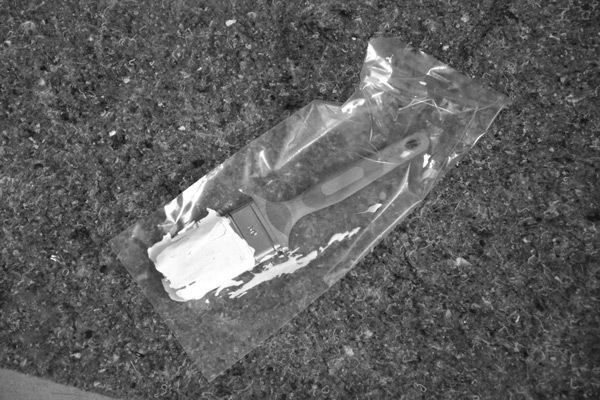 Others again leave the brush and find it dried out after their break. 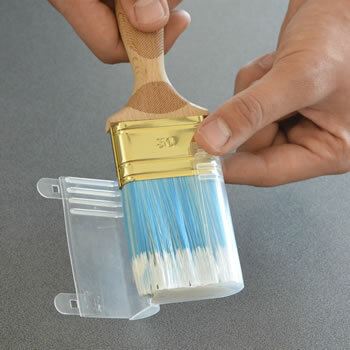 Now new from Nespoli Friess: Paint brushes with a handy storage box! The box prevents the bristles from drying out for at least 48 hours.